Need to expand your Sheet-Music Storage to accommodate your newest pieces? With Aurora’s modular system you will never have to give up on style or organization. 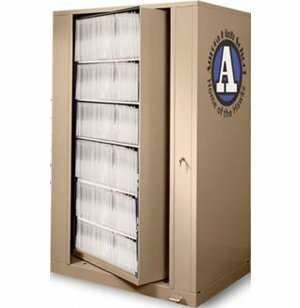 This rockin’ Rotary Music Library Filing System will take space planning in your music room to a whole new level. With lots of room and a super convenient design, it’s easy to stay on key. A unique rotary design provides fast access from either side. When you need to get to a particular piece, just unlock the unit, and swing the shelves to the side you need. With no open doors protruding, you don’t have to worry about bumping into people or having a messy space. This sheet-music storage is designed for quick retrieval and easy organization. Double depth gives you twice as much space for concertos, solos, and symphonies so you can keep hundreds of pieces organized. With so many pieces stored in one sheet-music cabinet, you save both floor space and money. When you choose Times-2, music storage is just a spin away. Easy Access: A rotary design provides access from one or two sides with a simple spin. 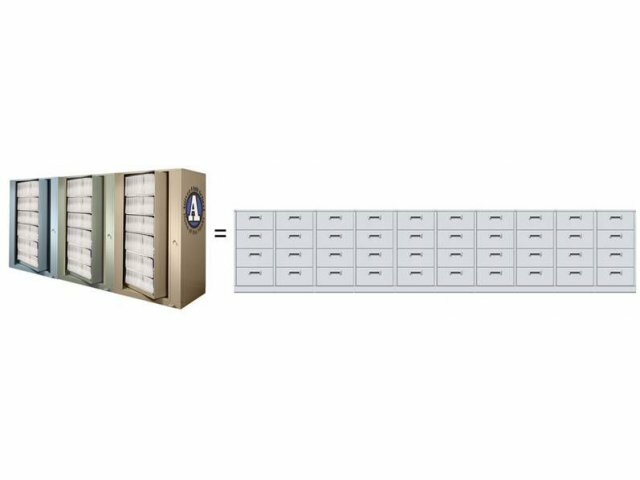 Incredible Capacity: Double depth gives you twice as much storage as a regular lateral file cabinet. 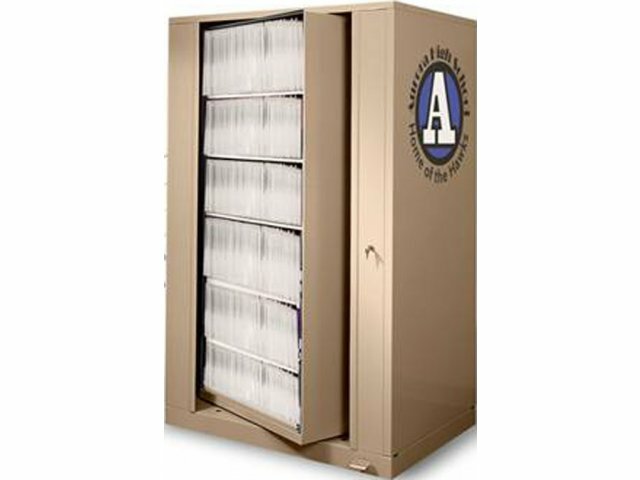 Secure Storage: Locking cabinets maintain an organized system and prevent tampering. Interconnect Design: Connect cabinets of varying heights to use space that might otherwise be wasted. Endless Possibilities: Shelves are adjustable, plus you can customize your Aurora storage system with an array of colors, panel materials, pullout shelves, and overlay options - call for details.